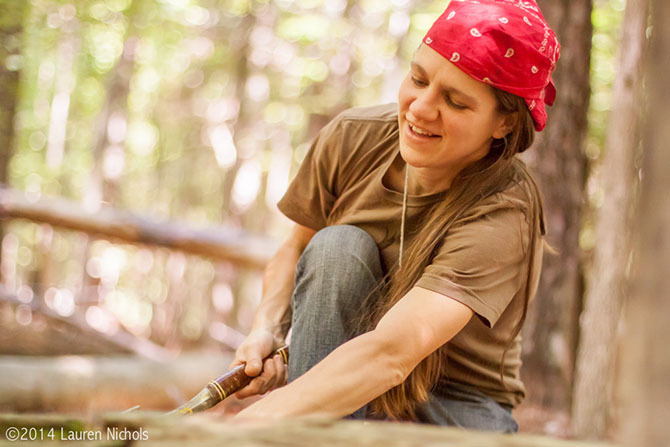 This week, armed with hatchets, plastic containers and tweezers, Your Wild Life post docs MJ Epps and De Anna Beasley set out to collect carpenter ant colonies nesting in logs. Ants are susceptible to all kinds of diseases, especially those caused by fungi. 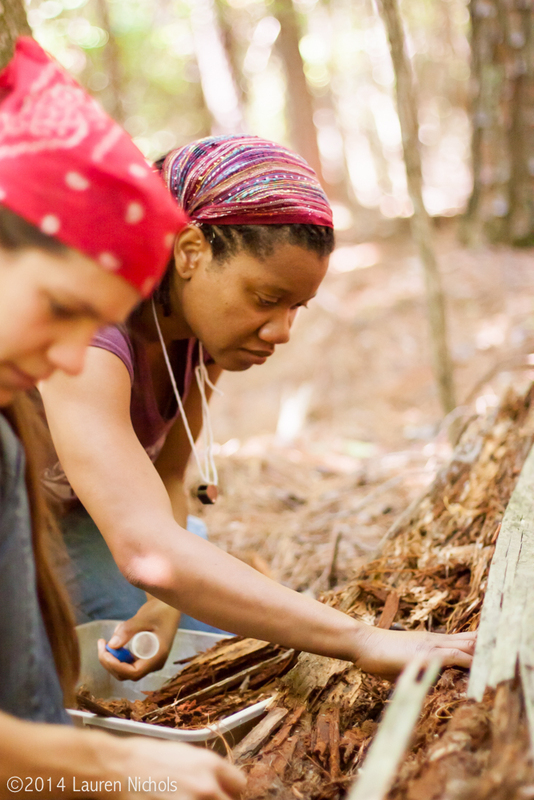 MJ and De Anna will use the colonies they collected to study how climate change might affect the ants’ immune response to disease as well as disease transmission within the colonies. You can check out more photos from the field trip and other scenes from around the lab this week in our new Behind the Scenes Flickr album! 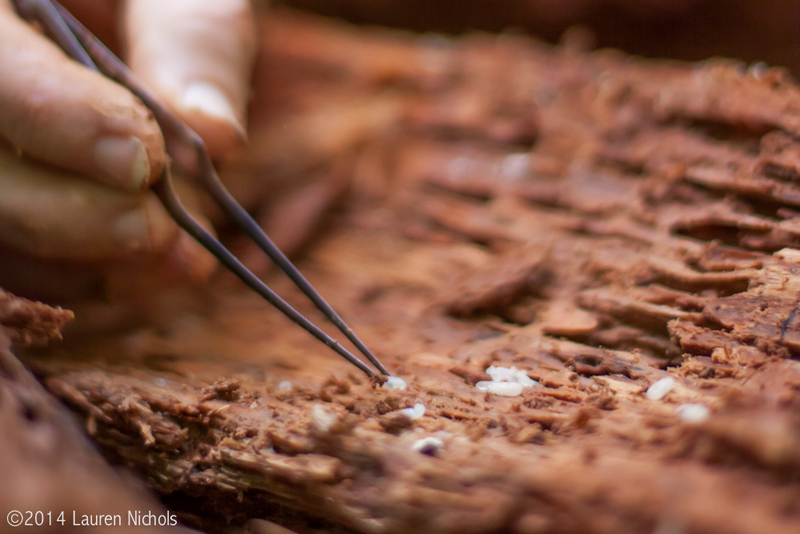 Once each nest was found, MJ and De Anna put down their hatchets and pulled out soft tweezers, carefully extracting ants and larvae to bring back to the lab.